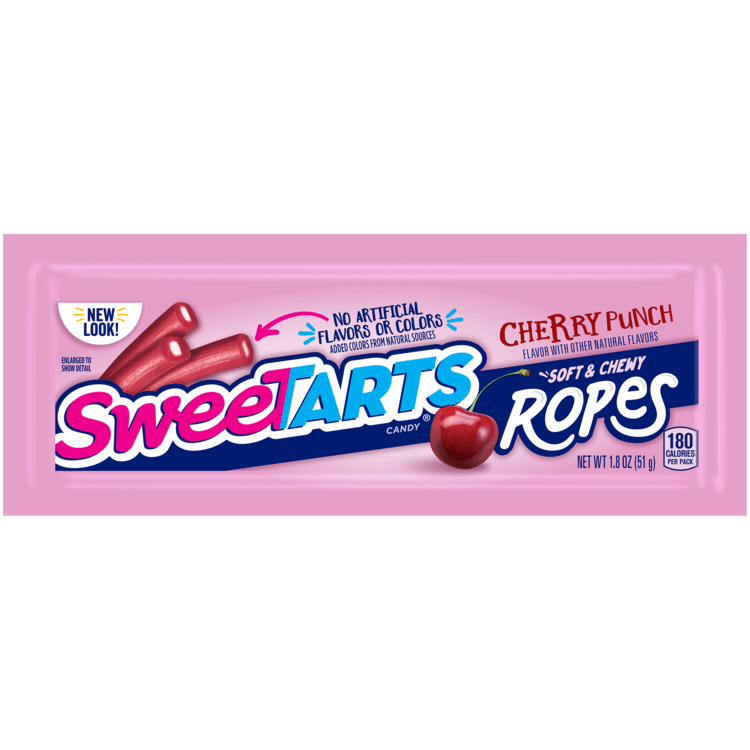 FREE SweeTARTS Chewy Cherry Punch Rope Singles Candy For Kroger Shoppers! 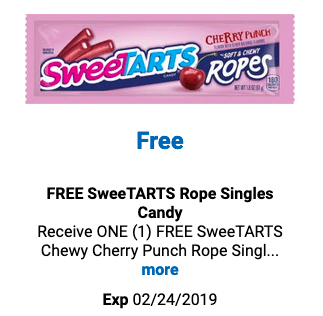 If you’re a Kroger Shopper hurry on over to their website to load a digital coupon to your store loyalty card for ONE (1) FREE SweeTARTS Chewy Cherry Punch Rope Singles Candy (1.8 oz).. Available in most stores. Once the digital coupon is loaded to your card you’ll have until 2/24/19 to use it. I’m loving these freebies each week – too bad we don’t have Kroger in New Jersey!